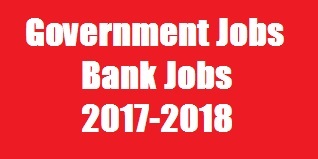 Find All Government Public Sector Banks and Private Sector Banks Upcoming Bank Exams 2018 and Latest Bank Jobs Recruitment 2018-2019 List available here (Check out below Bank Exam / Jobs Schedule Table). Only Approximate Vacancies listed in the table, Not accurate. List of Public Sector Banks: State Bank and its associates [State Bank of India (SB), State Bank of Bikaner and Jaipur (SBBJ), State Bank of Hyderabad (SBH), State Bank of Mysore (SBM), State Bank of Patiala (SBP), State Bank of Travancore (SBT)], Allahabad Bank, Andhra Bank, Bank of Baroda (BoB), Bank of India (BOI), Bank of Maharashtra (BOM), Canara Bank, Central Bank of India (CBI), Corporation Bank, Dena Bank, Indian Bank, Indian Overseas Bank (IOB), Oriental Bank of Commerce (OBC), Punjab & Sind Bank (PSB), Punjab National Bank (PNB), Syndicate Bank, UCO Bank, Union Bank of India (UBI), United Bank of India, Vijaya Bank, Bharatiya Mahila Bank (BMB), IDBI Bank, Post Bank of India (proposed) and Student Bank of India (proposed). 0 Response to "Latest Notifications For Government Jobs, Bank Jobs 2018-2019"